It’s an all-Australian affair in our bestsellers chart last week. Leading the way is Gerald Murnane’s A Season on Earth, which presents the reclusive author’s second novel, A Lifetime on Clouds, its entirety for the first time. 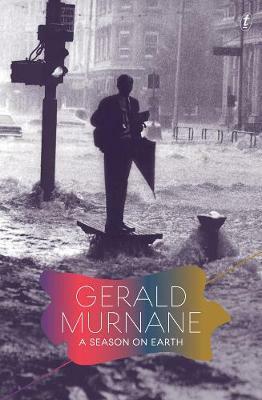 A Season on Earth is how Murnane had originally conceived his 1976 novel, before his publisher at the time excised the second half. Murnane discussed this process at a sold-out event last week, along with his latest book of poetry, Green Shadows and Other Poems, which is also in our top 10. It’s wonderful to see local emerging authors being supported by readers, with three second novels and one debut making the bestseller chart. Among them are Dervla McTiernan’s The Scholar , a beguiling mystery set in the cut-throat competitive world of academia and big pharma; Mark Brandi’s The Rip, which our managing director Mark Rubbo compares in his review to Helen Garner’s Monkey Grip and the late Andrew McGahan’s Praise; and The Glad Shout by Alice Robinson, a heart-racing climate-disaster dystopia and exploration of motherhood, which our reviewer Annie Condon expects to see on many literary prize shortlists next year. Finally, Louise Milligan’s Walkley-winning expose, Cardinal: The Rise and Fall of George Pell, has catapulted back into our bestsellers, after the book was made available again in Victoria last week. Other non-fiction titles proving popular with readers are Dark Emu and No Friend but the Mountains.